The Hawai‘i Gagaku Society was founded in 1968 by Reverend Masatoshi Shamoto and his first generation of students in Hawai‘i. It is a community-based group, with University of Hawai’i ties, that meets weekly to study and practice this ancient music. 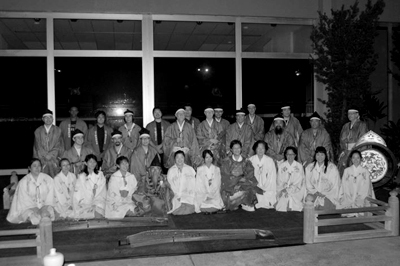 The group has performed on numerous occasions in Hawai‘i including ceremonies at shrines and temples, ceremonies at the Japanese consulate, the annual Tōrō Nagashi festival at the Ala Wai canal, as well as moon viewing concerts about once a year at the University of Hawai‘i.